Why Does Honey Crystallize – And How to Fix it Fast! Do you have a jar of gritty, semi-solid honey? If you are a lover of natural foods such as honey, I am sure you have gone to the cabinet and found that something weird was happening with your jar of honey. That jar of natural sweetness is now a clump of gritty, stickiness lodged in the bottom of the jar. The jar of honey has crystallized (turned to sugar is the term some use). Why does honey crystallize? Let’s explore the process of crystallization. 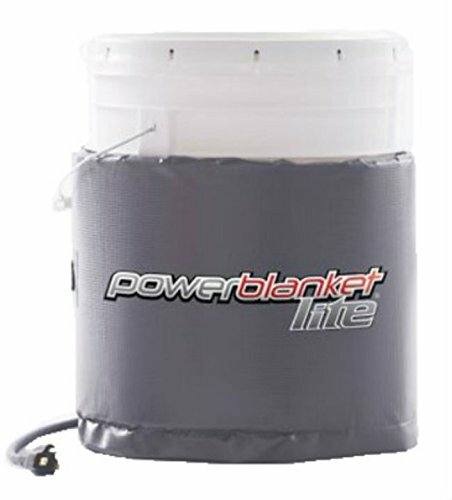 Even large containers of honey can crystallize and believe me – “It’s hard to get it out of that bucket!” Beekeepers often purchase bucket heaters to gently warm the honey inside and make it easier to remove. This is a good idea for anyone who is interested in bulk, long term storage of raw honey. Can You Eat Crystallized Honey? First of all, crystallized honey is not spoiled. You can certainly eat the honey as usual. 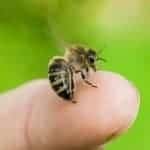 Good quality pure honey is not inexpensive and we want to make the best use of our investment. We don’t want to throw away good honey. Check out my post detailing more wonderful things honey can be used for around the home. If your honey has a grainy, sour smell, it has fermented and that is a different story. This happens if the honey has too much moisture. Honey is hygroscopic meaning that it can absorb moisture from the air. That’s why honey should be stored in a sealed container. You might want to throw it out unless you want to make mead. A decorative honey pot is okay for table use. However, you should store your raw honey in a tight sealing container. 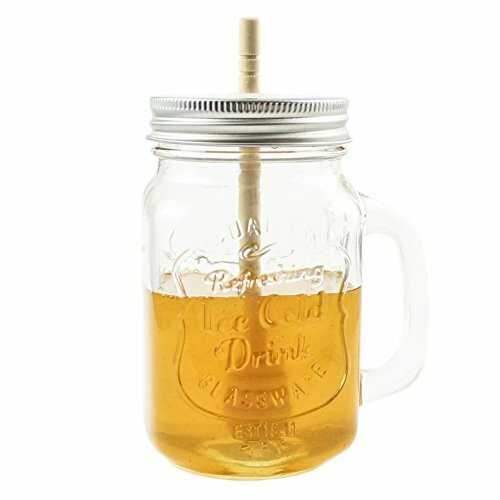 I love this mason jar with attached dipper! This type of storage will protect your honey from absorbing moisture for the air. Once honey has crystallized it is more likely to absorb moisture and ferment. Fermented honey is ruined for normal use. Back to our topic of – why honey crystallizes and what to do about it. Is Crystallized Honey Good For You? Sure it is! Crystallized honey is as nutritious as liquid honey. Actually, it is not spoiled or ruined and is perfectly OK to eat. Please don’t throw it out. It certainly does not look like we expect but the goodness is still there. In fact, some people enjoy crystallized honey in their coffee or tea. I have even met a few people who prefer the gritty texture. One young lady dips her Ruffles chips in warmed crystallized honey! Relax, your honey is not doing anything really strange or unusual. When honey crystallizes into a gritty mess, does it mean it is not pure ? No, This is a natural process of raw honey. It does not mean that your honey is not pure honey. It does not mean that anything has been added to the honey. Several different factors are involved in the crystallization process. In order to understand a bit more about this strange state of your previously delicious honey, we need a better understanding the components of honey. Crystallized honey can be produced on purpose. We call this creamed or spun honey. Why Does Some Honey Crystallize Faster Than Others? Each type of honey has unique aromas and flavor depending on the source of nectar collected by the honey bees. And that nectar source plays a huge role in the answer to why honey crystallizes. Each jar of honey is unique. Honey that is produced in different areas of the country will taste and look different. I have found this to be true even here on the farm. One box of honey may be light amber and the next one could be dark as molasses. This is due to the many different flowers used for nectar collection. You can learn more about flowers that bees use to make honey – here. We all know that honey bees collect nectar from blooming plants to make honey. Depending on climate, honey bees may collect nectar from Black Locust, Tulip Poplars, Maples, Tupelo, Basswood, Sourwood and Clover and too many more to name. Every region will have different nectar sources. Each nectar source contributes an aroma and taste factor to the finished product. Each type of honey is as unique as its nectar source. Honey that is made from some nectar sources is very slow to crystallize – no matter what temperature your store it at. Tupelo Honey is one type of honey that is slow to crystallize (or may never). I think it is a great tasting honey but it is more expensive than some other varieties due to the extra effort required to produce it. Honey bees make honey and luckily for us – they make a lot. Honey is an exquisite blend of many different sugars, enzymes, minerals, salts, proteins and other undefined substances. We have not really identified all the components in honey. However, honey is sugar and this plays are role in the crystallization process. The two main sugars in honey are glucose and fructose. Honey is a supersaturated sugar solution. This is a fancy term to say that a larger amount of sugar can be dissolved in the water (liquid nectar part) of the substance when in the warm environment of the hive. We humans do not keep our hives (homes) as warm as a honey bee colony. This chemical composition of honey explains why honey crystallizes under the right conditions. Honey is prone to change form to a semi-solid and cooler temps promote that change. Why does Honey Crystallize Slowly? A honey bee colony usually maintains a temp of near 95 degrees F inside the hive. At this temperature, the sugar and water balance is comfortable this is called a homeostatic condition. When the honey is removed from the warm hive environment to a cooler temperature (our room temp), the sugar/water balance will again become “comfortable” but different. The process involves some of the glucose (the least stable sugar) coming out of solution and forming crystals. This process moves faster at cooler temperatures. As the process continues, your honey will become more and more “clumpy” until it is a virtual solid. Therefore, temperature plays a role in the rate of honey crystallization. Why Some Honey Does Not Change Form? Almost all honey varieties will crystallize over time. The common phrase is my honey turns to sugar. 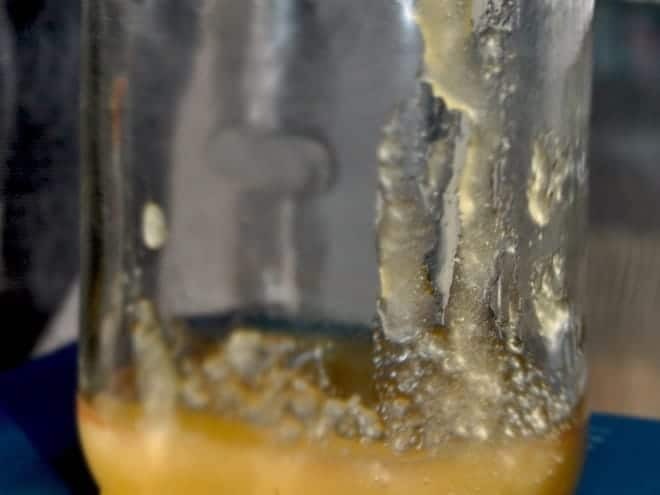 Why does honey crystallize sometimes and other times it does not? As mentioned previously, it is because there are many different kinds of nectar in honey. Honey varieties that contain more glucose than fructose (such as Clover) – will crystallize faster than honey that contains more fructose than glucose (Sourwood or Tupelo). Tupelo Honey is a high fructose honey that is said to never or rarely crystallize. Isn’t nature fascinating. Most honey is not from a single nectar source but rather a mix of many plant nectar. Honey that is bottled by large commercial companies is micro-filtered to remove tiny bits of wax, pollen, etc. 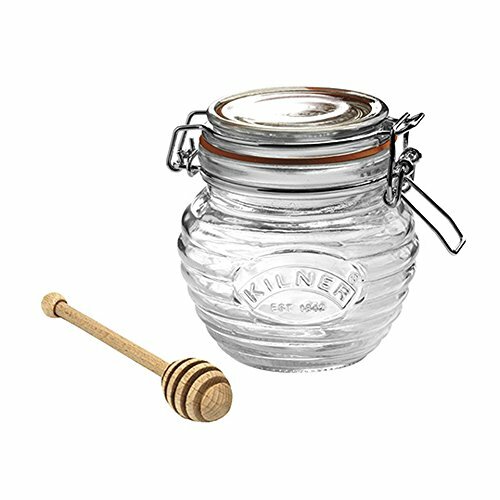 This allows that jar of honey to sit beautifully in a warehouse for months without changing form. Of course, this ultra-processing always removes some of the flavor and natural goodness of the honey. It is a trade-off that has to be made for a pretty product with a long shelf life. What Crystallization Does NOT Mean. Honey does NOT crystallize because something has been added to it. 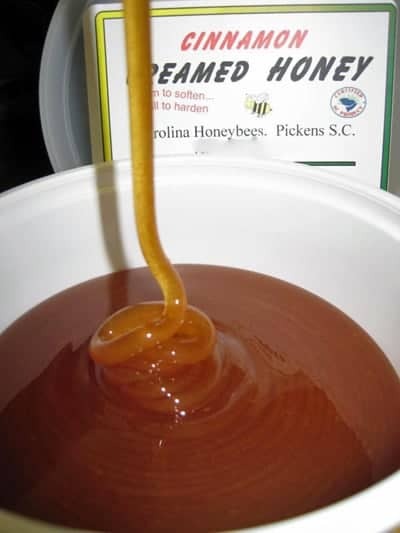 This is a common myth- that the beekeeper has added cane syrup or something to the honey and caused the honey to turn to sugar. It is important to understand that this is a natural process of raw natural honey. Pure raw honey will usually crystallize much earlier than honey found in the large stores. Remember however, that by the same token: crystallization does not prove that your honey is pure either. Most of us want to prevent our honey from crystallizing. You can not always stop it but you can slow things down. Honey should never, ever be kept in the refrigerator. I know this goes against our basic belief that keeping things cool is a preservation technique. This is not the case with honey. The best thing you can do to protect the integrity of your honey is to keep it in a dark warm place. Remember hive temps are near 95 degrees – room temperature in your home will work well. In fact, I leave my glass jar of honey sitting on my stove. Honey will absorb moisture from the air. Here in the humid south, I always keep my honey in an airtight container and suggest that you do the same. I have a good post on ways to store your jars of honey – read here. 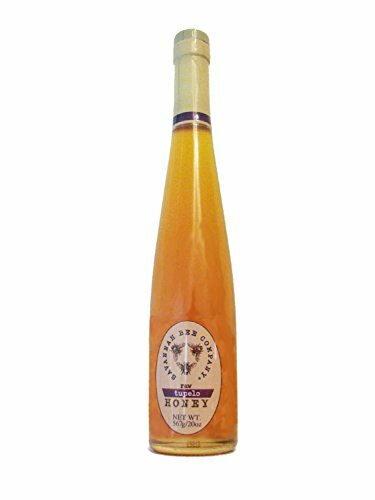 Crystallized Honey Fix -My Honey Has Turned to Sugar Now What? Honey that is crystallized can be fixed. What to do when your honey turns to sugar. A lot of people throw away perfectly good jars of honey. It’s so sad and that is not what I want you to do. If the honey has been stored in an airtight container and no moisture/water has gotten inside, you can certainly save your investment. Pour or scoop (as the case may be) that honey into a glass container. 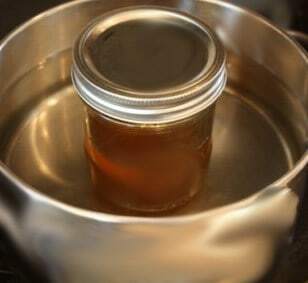 Prepare a small pot of water on the stove to almost boiling temperature with the glass jar sitting in the water. Don’t overheat and don’t get water into your jar of honey. Now set the pot containing the water and honey off the stove burner and let the honey slowly re-liquefy. 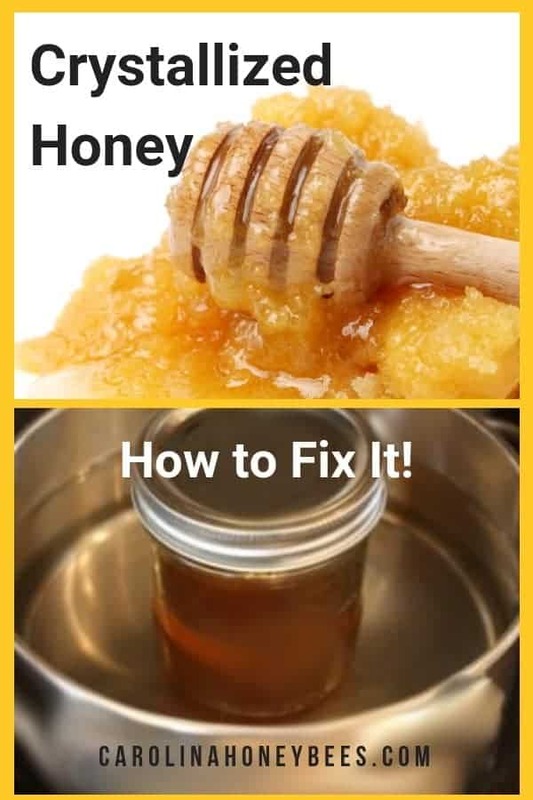 You may have to repeat the process more than once but you will be able to save your jar of honey. I do not recommend putting honey in the microwave as I feel it will damage some of the nutritional components. These points should help you move towards your goal to prevent your honey from turning to sugar. But if it does -don’t panic. Do you love bees? Join my email list for blog updates. Great fun for beekeepers and “want to be” beekeepers. Learn more about honey bees. Sign up Here ! 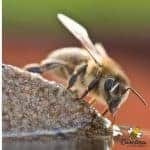 If you love honey bees and want to learn more about bees and beekeeping, this is the place for you! Yes, please add my email to your list. Thank You. Watch your Email for a confirmation link! Master Beekeeper, Charlotte Anderson shares her love of all things honeybee. She helps others become better beekeepers and teaches new beekeepers how to get started. Her mission is spreading awareness of the importance of honey bees. She is a former Beekeeper of the Year in South Carolina. This has never happened to the honey that my Grandpa buys but there is always a first time for everything. I would have never thought about honey being able to turn to sugar. Hi Michelle, It does also depend on nectar source. Sourwood or Tupelo honey is slow to crystalize (if ever) and Privet, Orange Blossom & Clover will crystalize faster ! Thanks for this post! I didn’t know it was still ok! You can bet that I won’t be getting rid of any more of it. Absolutely, we dont want to throw away good honey. ! Thank you for this post Charlotte. I didn’t know there was a honey that didn’t crystallize, I would have thought it was fake if it didn’t. I am currently doing a study to see if bees will even survive in my area so we can out in a hive or two. You are most welcome. I have some Sourwood that is 4 years old and still clear. I hope you will be able to have bees ! I put crystallized honey in the dishwasher with the dishes and it works fine. The honey is in a sealed preserve jar. A neat idea I havent thought of ! The dishwasher ‘s water temperature gets too hot to liquify crystallized honey. I agree 100% to my way of thinking. But then we all get into that argument of how hot is too hot. I like to gently warm mine in a hot water bath. Putting the jar in your closed up vehicle for a few hours on a sunny day will liquify it also. I do know some folks that have done so. No problem as long as it doesnt get too hot. So thankful for this information, so well explained . Bees are a wonderful! charlotte i did not know about this!!! i did not know you could use honey for things besides CHICKEN NUGGETS!! LOL Yes you can, isnt that great! But of course, do continue to use them on the nuggets! I read many articles on honey and honey bees; this, by far, is the most interesting, fact filled article I have ever read. I’m a new keeper (2yrs), trying to learn all I can. Thank you so much. Keep em coming. Would love to meet up with you one day at a bee convention. Thank you so very much. I try to create useful content and I hope the info helps people. So glad you liked it, hope to see you someday. So glad to see an article like this. I try to tell people about raw honey and crystallization etc. You explain it so thoroughly. Thankyou. I recieved a small glass jar of what looks like and smells like molasses. Its thicker then tree sap, gritty like sand and practically solid. When I got home and tasted it I was blown away. It tastes like the richest boldest flavored honey on planet Earth (as far as im concerned) Have you had an experience like this or could it be that flavours (like molasses) were added to this jar? 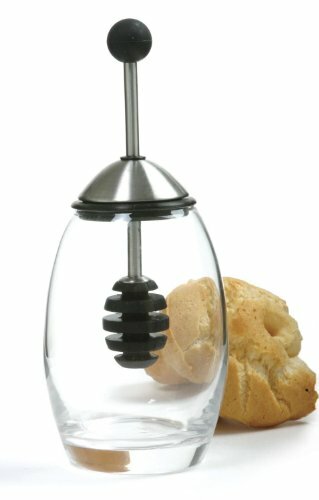 How many times can you liquefy honey from a sugary state before it becomes a non_ressurective product? I think you could indefinitely and it would be slower to crystallize. But you don’t want to overheat it. Beyond a couple of times, you might begin to affect the integrity of the honey but it would not be noticeable. Why Do Honey Bees Sting? Carolina Honeybees, LLC is a participant in the Amazon Services LLC Associates Program, an affiliate advertising program designed to provide a means for sites to earn advertising fees by advertising and linking to amazon.com. Affiliate links to Amazon or any other company do not cost you anything.